In 2018, #Ukrzaliznytsia wants to cover more #destinations abroad with its #trains. #Ukrainian #Railways has recently announced new #rail #links to Europe. This year, new #routes to #Chełm and #have been opened. Thus, Ukraine now has a direct rail connection to 7 EU countries. Next year, Ukrainian Railways – Ukrzaliznytsia – will continue to expand connection to EU countries and open additional rail links to Europe. In particular, it is planned to open two new routes to Poland and Moldova by the end of the year – “Odessa- Przemyśl” and “Odessa-Chisinau”. This was declared by the Minister of Infrastructure of Ukraine Volodymyr Omelian during the annual closing press conference held on 15 December 2017. In particular, in 2017 Ukraine opened new routes to Chełm and Vienna. 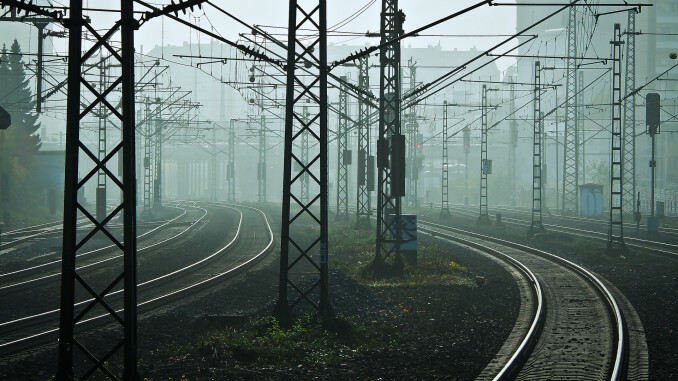 Thus, Ukraine currently has a direct rail connection to 7 EU countries – Poland, the Czech Republic, Slovakia, Hungary, Austria, Romania, and in summer – to Bulgaria. Furthermore, acting chairman of the Public Joint Stock Company “Ukrzaliznytsia” Yevhen Kravtsov said that both international and domestic passenger volume had significantly increased as compared to 2016. Over first 10 months of 2017, the international passenger volume increased 4.4-fold – up to 181 thousand passengers. In addition, 84.4 million passengers were transported by domestic long-distance trains, which is 4.8 million more than in the previous year. This year, 11 new domestic routes connecting the whole country have been opened for the Ukrainian passengers. In addition, in 2018, Ukrzaliznytsia will complete the largest infrastructure project since the independence of Ukraine – the construction of the Beskydy tunnel. As Ukrzaliznytsia constantly develops and improves the passenger trains, the board of directors of the second largest railways in Europe intends to make them the best railways in the world. According to the chairman of Ukrzaliznytsia, in 2018 Ukrainian Railways will offer its customers new services and a new classification of trains into three categories: comfort, standard and economy.